The core material of the book is 369 positions where the reader is given a task or asked a question. These tasks resemble those that players regularly face over the board, and are especially useful from a training viewpoint. Sometimes we are told we need to find a combination, but often the task is simply to decide on a move. It is for us to determine whether to play quietly or stake everything on a sacrificial attack! International Master Vladimir Grabinsky is the coach of the Ukrainian youth team. In addition to Volokitin, his pupils include several other players who have achieved international titles at an early age. 1. Make a Move, where the instruction is simply to find the best move. 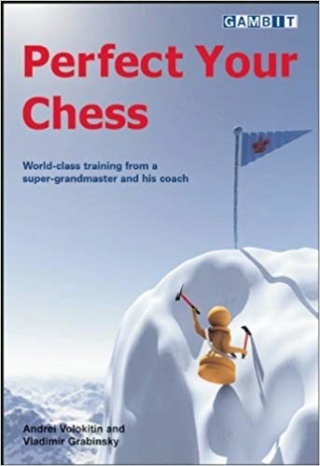 This is designed to develop intuition and imagination in chess. 2. Find the Win, where the instruction is to find a forced variation leading to a win. This is intended to test combinative vision and the calculation of variations. 3. Answer a Question, where the instruction is to find the answer to a concrete problem. This is intended to develop positional understanding. many, many, many, many, many, many thanks!!!!!!!!! !